Here are some photos from last night's show at Hoover Auditorium in Lakeside, Ohio ... Marilyn McCoo and Billy Davis, Jr., original members of the 5th Dimension. They looked and sounded great ... doing a number of their 5th Dimension hits ... Up, Up And Away, Wedding Bell Blues, One Less Bell to Answer, Aquarius / Let the Sun Shine In, Stoned Soul Picnic, Last Night, I Didn't Get To Sleep, etc., each song sounding fantastic, being backed by a very tight four piece band of piano, drums, bass and guitar. 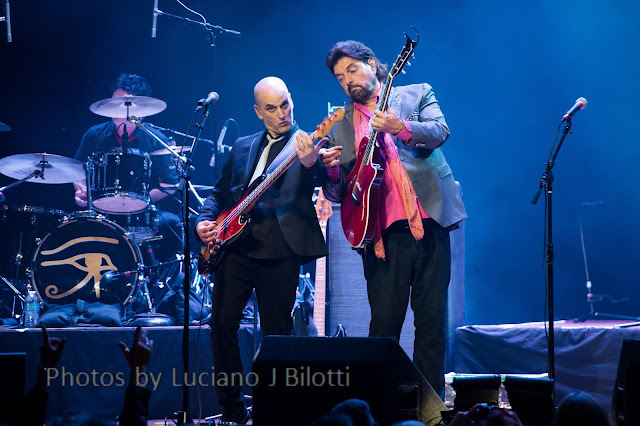 They also performed a Beatles medley, as well as some old blues and jazz classics and told some stories of performing with the 5th Dimension, going solo, 45 years of marriage and other performances over the years ... a very well performed show. The duo was gracious to meet with fans and sign autographs after the show. Well, it took a year, but tomorrow we're going to see Marilyn McCoo and Billy Davis, Jr., at The Arcada Theatre ... and I can't wait! Phil Nee of WRCO-FM / 100.9 in Richland Center, Wisconsin, is running a six hour radio special Saturday Night (from 6 pm - Midnight local time) based on our recent "What's The Name Of That Song" feature. If you happen to be in the area, be sure to check it out! I am enjoying reading through Uncut magazine's "Ultimate Guide" on the Beach Boys. This is not another rehash of old, overly repeated news . It is an album-by-album coverage of their career interspersed with contemporaneous articles and interviews from NME and Melody Maker archives ... the stuff we wanted but could not get our hands on back-in-the-day. When Tiger Beat puff pieces was about it for the US, British fans were feasting on serious interviews that respected Beach Boys music and asked serious questions. For this olderly BB fan, this is what I searched for but could never find. 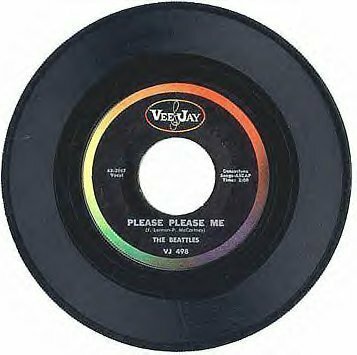 That Beattles record you reference in your story (Please Please Me) was first pressed in Owosso, Michigan, at the American Record Pressing Company factory. They pressed many of the Vee Jay records in that era. I suspect the first person in America to place that record on a turntable was in the sound / testing room at the Owosso factory as they did with samples of all the records they pressed. There was a print shop in the factory where they printed the record name and artist etc, on the bottom and sides, with the rest of the circular labels being pre-printed and shipped to the factory. Therein is the likely source of the spelling error. I am working on getting the printer’s or typesetter’s name with two 90-year old friends who worked in the factory at that time. If I ever get it, and it seems credible, I’ll send it along. The factory also pressed the Introducing the Beatles album here and a few other Vee Jay 45’s and got the spelling corrected. My buddy, Billy J. Kramer, has a new book out: "Do You Want to Know a Secret." His new (well, several years now) band features Liberty DeVitto on drums. I like what you doing. I am very interested in the preservation of pop and rock music. I found this quite interesting. Have you read it? It is Joel Selvin's "Here Comes the Night: The Dark Soul of Bert Berns and the Dirty Business of Rhythm and Blues". Need your readers' help with a release date for a song. Homer Banks "(Ain't That) A Lot of Love" on Minit Records # 32000. It was released in 1966 ... but I hope someone out there knows the actual month and / or day. Did you have a copy of any top 100 or greater hits of the 70s (usually starts with “You Light Up My Life or a Bee Gees song) as a whole decade you could email me? I am really looking for a Record World or Cashbox listing ... Billboard is easy to get!! There are SO many of these types of lists out there (although usually "by year" rather than by decade) ... I don't have one in particular as a reference point because they all use a different method of tabulating their results. There is a book, however, that lists EVERY record to chart during the '70's and then ranks them on a point basis based on their individual chart performance. This is a pretty accurate representation. (Their '70's book is based on the Cash Box Charts ... they also did one for the '60's based on Billboard's information.) I'm not aware of any similar publications based on Record World's information. I actually have that book, that is what got me started in this interest. In the book you referenced “Ranking the 70’s”, the authors talk about a 70s decade top 100 or so that “I Go Crazy” by Paul Davis is number 1 ... have you even seen that one?? If you happen to come across a top 100 or greater decade 70’s song list please let me know. There are SO many variations of Top 100 Hits out there it would be impossible to pick a "definitive" version, as all are compiled using different criteria. Dann's "Ranking The '70's" book, however, has a very clear explanation as to how they came up with their results that makes logical sense. Here are our original views of Dann Isbell's two "Ranking" books ... along with one I found on Amazon.com of Eddie's impression of "Ranking the '70's". I am very glad the authors decided to use Cashbox chart history, it made for a very interesting comparison between Cashbox and Billboard. I could not be happier. Graham Nash has sent a VIDEO TRIBUTE to honor CHARLIE GRACIE to be shown at the CLEF CLUB THEATER on MAY 14TH for his 80th Birthday Tribute hosted by the Philadelphia Music Hall of Fame. Call to reserve your tickets: (215) 893-9912. In 2001 a DVD was released called “Garage Rock USA”. I believe it was put together by some of the guys from WORT FM in Madison, WI. One of the songs on the DVD is a live performance of “Gloria” featuring, if I remember correctly, Jim Sohns, Joe Kelley and Bun E. Carlos. They did not seem to have much difficulty getting the rights for that. A quality recording of “Louie Louie” is an oxymoron. I doubt if I would recognize a quality performance or recording of that song, let alone understand the words. I remember viewing it at the end of the televised version and it never entered my mind that it was sub-par. It’s always sub-par, that’s the unique feature of the song. You cannot “F” it up. It did not have any trouble making the cut in “Animal House”. Just got my 6th letter today from WTTW wanting me to send money. I am guessing that by the time they get done sending me stuff in NEBRASKA about me enjoying TV in Chicago, they will have equaled my $96 purchase of "Cornerstones." 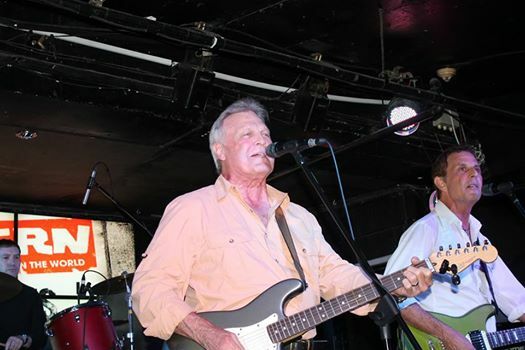 Happy Birthday to our FH Buddy Tommy Roe, who turns 74 years old today! We caught up with Tommy a couple of months back right before his show at The Arcada Theatre ... and that meeting turned into a three-part interview now available on the website! 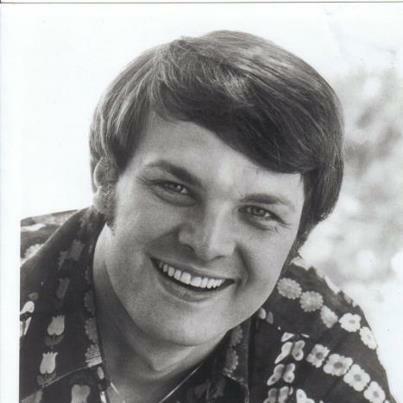 Tommy Roe ... way back when! Ah, the old bait and switch! Kudos to you for calling them on it. WTTW needs to make this right. Keep in mind that when I received my first email from a fan and subscriber expressing their disappointment and pointing out that which was missing from the dvd, I hadn't even opened and played mine yet. I, like many who have written in since, just assumed that the bonus material promised during the original broadcast would be included. In fact, one of the MAIN reasons I never opened it was because I couldn't find a spot where I might have four available hours in a row to watch the whole thing! So imagine my surprise as more mail came in, citing the same disappointment and unhappiness. Now it really boils down to now is a matter of trust. Maybe WTTW figures, "Well, we've already lost these subscribers ... why invest more money into this thing if it'll all eventually pass and we can put it all behind us." But the truth is they should be held accountable for what they advertised. Why would ANYBODY want to do good by the station and purchase more "specialty items" if they're allowed to alter what those items contain. It's just wrong ... simple as that. But that doesn't mean you can't still read all about it. It's not surprising that the Motown Sweet 16 has more 80's hits than 60's hits. Motown has always been notorious for short changing their artists in getting their royalties. In fact, until Stevie Wonder threatened to walk in 1970 if he didn't get his due royalty rate, they might all still be working for chump change. In the 60's, Motown never disclosed to the RIAA, just how many units of a song were sold. Berry Gordy, was content just giving his artists a salary and, if they needed a car, he bought it for them. A house? No problem. It was far cheaper then paying them royalties. Motown was also notorious for counterfeiting their own records. Press up a million copies of My Girl and then counterfeit another million and sell them out of the trunk of a car at a far cheaper price. If you're a ghetto kid, you ain't gonna care if it's a legit copy or not. And you couldn't tell either. 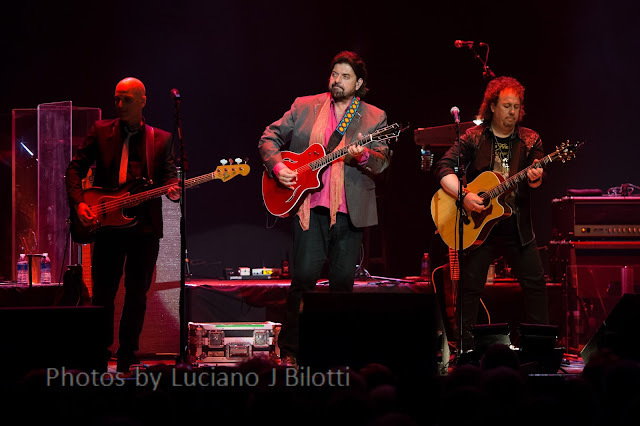 Once again we were treated to an INCREDIBLE show by The Alan Parsons Live Project Saturday Night (May 7th) at The Arcada Theatre. There is nothing I can add to the glowing reviews we have already given this ensemble ... last year we ranked them as the #2 Concert of 2015 ... and the year before that, they took #2 AND #1 honors for the two shows they put on at The Arcada on the same night! The entire show boasted impeccable musicianship and outstanding vocals throughout their two sets. So what's new in Alan Parsons' world? You're not going to see a better show than this one. 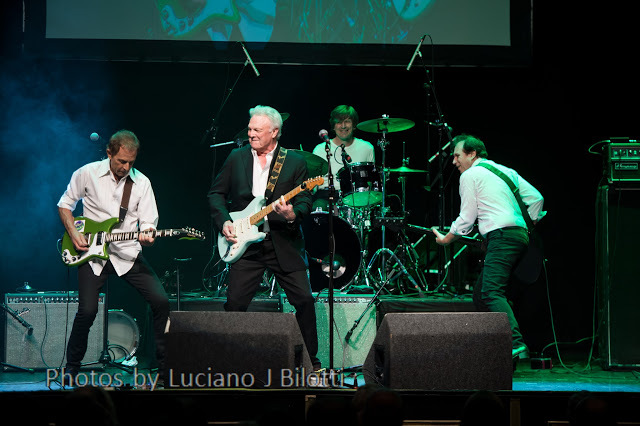 We've been telling Forgotten Hits Readers for YEARS now to catch the act live when they come to your area. "When might that be? ", you ask? I have read all of the comments from FH and WTTW about the CD / DVD sets. I got mine after you guys did a few weeks ago, and like you, have yet to view it. I saw the TV version, so I don't know if I will watch it or not soon. That said, I am trying to look at both sides. The TV "event" was magnificent for those of us out of towners who would not get to go. The concert series would likely not have happened if NOT for WTTW's showing. That said, that would mean we would not have seen Gary Loizzo's last performance or the gathering of the American Breed. Maybe Ronnie Rice and the New Colony Six would not have ever performed together again. Maybe there would not have been two follow-up concerts. Maybe the Buckinghams leaders wouldn't have put their differences aside for an evening. We got to see Jimy Sohns performing before his health problems sidetracked him. Would we see the Cryan Shames back playing five classics with Jim Fairs and Hooke and Toad all onstage blasting out MY faves? MY fave band onstage on TV!!! Yes, the Ides can be seen these days, but it never gets old seeing them. It was even recorded at WTTW. We owe a lot to Jim Peterik AND to WTTW for bringing us the show Jim and JC Hooke have dreamed of for ages. So much talent on one stage for one time. It was a one and only "Cornerstones of CHICAGO 60's rock." Now, on the other side, I paid $100 for a DVD / CD set that might have been better off as a double DVD of ALL the material, minus the CD. Most who bought the set have the music on CD already, I'm guessing(?) To get LESS than the TV show is pretty lame, indeed. Now, thanks to my "generosity," I am being deluged with spam snail mail wanting MORE donations. Latest, a letter to me from the Chief Financial Officer of WTTW. They claim they need $403,000 by June 30 to keep operating, due mostly to a 16% increase in PBS programming and a 65% decrease in state funding. Now, I can certainly almost cover that for them, but maybe they will have to just "downsize." OR, they could not send letters to people living outside their viewing area every month ... especially the people they have kept waiting months for their first purchase from the pledge event in December?? All in all, it's a tough call. WTTW must have big financial woes and this set is causing some bad blood, for sure. Still, this station has supplied an incredible barrage of great programming over the decades, some dealing with our 60's childhood memories, and always done REALLY well. 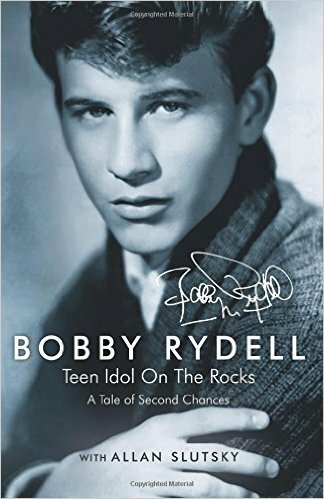 Thanks to friends in Chicago, I have gotten to see some great shows WTTW has put together on Chicago and 60's rock memories. My suggestion is that WTTW broadcast the show in its full entirety with all the interviews over four hours or over two nights and AGAIN asking for donations and offering the same DVD set again for those who did not see the first show. Show "Louie Louie" with the bad sound! We grew up LOVING AM radio! Kids today listen to music on these tin box phones that sound WORSE than 60's AM radio! Heck, "Louie Louie" WAS the epitome of bad recording! Just show us the whole thing, with or without pledge breaks, but the WHOLE thing. What are you going to do with that classic stuff, otherwise?? Throw out history? These ARE the Cornerstones of Rock! Don't blow it again. Make some money AND show us the whole thing. So let me get this straight ... the sound of the ensemble group's grand finale performance of "Louie Louie" was too distorted and not fit for inclusion on the dvd? What made that song so popular back in the day was the fact that it was distorted so badly you couldn't make out the lyrics, thus inspiring thousands of music fans all over the world to determine what they THOUGHT they heard on the record ... which caused a WORLD of controversy way back then. How do you call the show a tribute to garage rock and then not play the two greatest garage rock anthems of all time? Louie Louie and Gloria BOTH deserved to be on the dvd ... they DEFINE garage band rock ... without them the very concept of this concert fails in every conceivable manner. In reading the explanation from WTTW it sounds like they didn't investigate completely (or push hard enough) regarding obtaining the rights to the use of Gloria on the disc. As you said before, the song has been licensed to countless other 60's compilations for decades now. Sounds like somebody just didn't do their homework and has now alienated thousands of subscribers who feel they didn't get what they paid for. (Meanwhile, WTTW continues to badger us almost daily with requests for more donations.) This isn't what I signed up for ... I wanted my dvd of the WHOLE show PLUS the bonus footage and interviews they promised during the pledge drive. They took our money but didn't deliver what they promised us to GET that money ... and that's just wrong. Call it deception or false advertising ... or collecting money under false pretenses ... any way you cut it, it stinks. Isn't it ironic that sound quality was citied as a reason for not including "Louie, Louie" ... that's one of the hallmarks of that song. The real words used by the Kingsmen have been debated for years. I was gonna leave the Cornerstones Of Rock controversy alone, but I like a good controversy as much as the next guy. I have never seen the broadcast and, from what I gather, I'm not missing much. However I attended the taping. Starting with the last first, the Louie Louie finale was sort of disorganized at best, as it almost seemed like an afterthought. It sorta reminded me of some of the Rock And Roll Hall Of Fame finales where everyone gets up on stage and Paul Shaffer is the only one who remembers any words. They were all joking about how they were gonna sing the "dirty" lyrics. It came across about as clear as the Kingsmen did. I can see why WTTW didn't want to include it, although they should have anyways. Just make a notation in the liner notes. I liked the 19 cut CD, however there is still ample time left to include Lake Shore Drive, Up On The Roof, Get It On & Gloria. I haven't listened to the live CD yet. The problem with these "premiums" is that unless you do the whole program, as shown, you'll never please anyone. I have no idea why it wasn't done like that, start to finish. After you delete the pauses between set up time, and Wendy Snyder's fill ins, the whole show could have fit on one DVD. A second DVD could have been included with rehearsals, some goofing around like Dennis & Jim did. There had to be more. Maybe some brief interviews with each of the bands. I suspect you, and the majority of folks in FH land are right. WTTW could have done a far better job. I'm not sure why it takes four months to get it together. Having edited tape in the past, it doesn't take that long to do it, especially if you're a professional and working with a lot better equipment then I'll see in my lifetime. Perhaps what annoyed me the most was about a half dozen solicitations for more money in between the time of the concert and the time I received the CD / DVD package. On one phone solicitation, I told the guy, they won't be getting any money from me until I get what I shelled out $149.95 for to begin with. They haven't called back. At least with one mail request, they sent me some address labels. They still ain't getting any more money. In short, I'm happy I went, I'm happy that I got a souvenir from the experience, but WTTW screwed up big time. Now I know why I had never pledged before, to get one of the CD / DVDs, for one of their programs. I would say there's an excellent chance that PBS, won't ever get any more money from me in the future. Still I don't mind the address labels. They're just not worth $149.95. "Louie Louie' kinda WAS an afterthought ... the original plan was to have everybody come back out again and sing "Sweet Home Chicago" ... but a last minute decision was made to go with "Louie Louie" instead, probably in keeping more in line with the whole garage band theme of the event. For that reason alone it should have been left in ... "hot mess" or not. I also agree that including the "Lake Shore Drive" and "Get It On" tributes would have made nice additions to the live CD, especially since they were part of the final dvd edit. Having read the past input regarding the Cornerstones of Rock DVD and CD, I have one more omission to ask about ... Love You So Much, which we did during the filming and which is a Sentar recording that I shared licensing for so that it could be included on the CD that featured the original recordings of these hits. I, too, had hoped that these might turn up as part of the bonus features mentioned for the dvd release (as well as more of the interview that I did for the program.) Oh well, life goes on. Thanks for being irate on behalf of those who supported and continue to support us and WTTW. 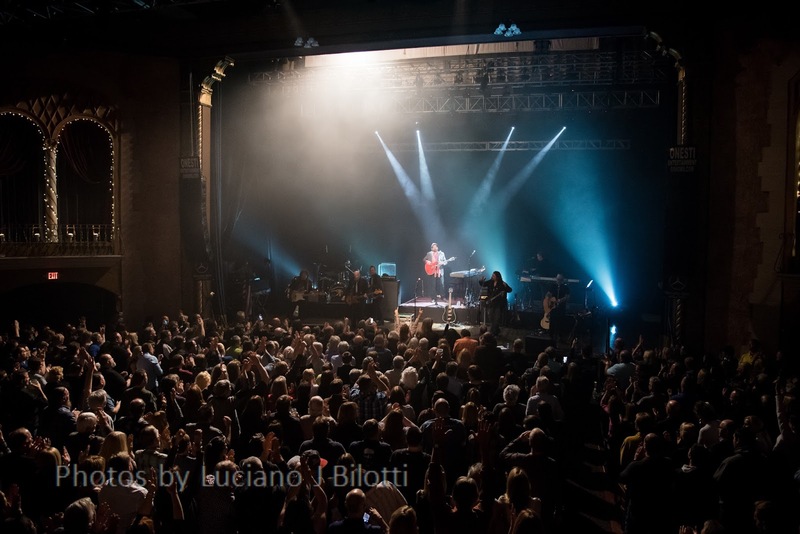 Looking forward to a glorious Spring and Summer through more Cornerstones live shows. Direct your suggestions and complaints to Joe Thomas (jthomas1@hdready.com) and Frank Pappalardo (frankpappalardo23@gmail.com). There must have been a way to get permission for them to have Gloria on the DVD ... after all, it's on hundreds of cds, tapes and 8-tracks all over the world. It's interesting to note that the set lists of The Ides Of March and The Buckinghams were not edited for broadcasting ... each of their entire performances were kept intact. Basically what they did, from the edited televised version, was delete Gloria by the Shadows of Knight and the group Louie Louie finale and insert the Chase Tribute in its place. I am now surprised they didn’t leave in the pledge drive breaks. I was really looking forward to Sunshine Psalm, Up on the Roof and Sometimes Good Guys Don’t Wear White. These three songs, although performed that night, are nowhere on the DVD. It is still very well done, but a huge disappointment. In speaking with several of the artists who participated in the original concert, they, too, are upset that their performances that night were cut short on the television broadcast ... but understand that this had to be done for broadcast purposes. However, most were also hoping that these "extras" would show up on the dvd as well as some of the lengthy interview segments also filmed that evening ... yet NONE of this material made the dvd either. In that respect, WTTW let down the fans AND the participants. However it was during this very same break that the promise of dvd extras would accompany your $100 - $200 donations ... listen to the audio clip below. In THIS way, WTTW failed to deliver on their promise ... and that is what the fans who bought these special packages are upset about. And that's ultimately what did them in ... the promise of more and the delivery of less. The fans feel that WTTW should deliver on their promise ... simple as that. We sent in our money in good faith ... we supported the station ... we should get what we were promised. We kept our end of the bargain ... now it's time for WTTW to pony up and deliver on their end. Clark's suggestion that WTTW should rebroadcast this concert as the entire four-hour event and then ask viewers for new donations to obtain dvd's of the concert in its entirety really isn't a very viable solution ... even the biggest fans aren't going to shell out this money TWICE to get what they should have received in the first place ... nor is it fair that they should have to do so. However, putting together a 2-DVD set and then offering that to new subscribers (and sending out free, replacement copies to those who have already given money the first time around) doesn't seem beyond the realm of good customer service. Yes, it's going to cost the station some money ... but this is a hole they dug for themselves by misrepresenting the contents of the dvd. Everyone who contributed did so in good faith ... and they did not receive what they were promised. Folks are genuinely pissed about this. Bottom line ... WTTW should make good on their original promise. They grossly misrepresented their product and then took the funds and delivered something inferior and less than expected. This goes beyond false advertising ... and, in the process, they have seriously jeopordized obtaining future funds from all these new subscribers. The concert (as it currently stands) is scheduled to be rebroadcast on Thursday, June 9th, at 7:30 and 9:45 pm and then again on Sunday, June 12th, at 9:00 pm. There are no new notations on the WTTW website regarding omissions from the original broadcast ... they seem content to just let this one slide. Fans and contributors feel otherwise ... they feel the station should be taken to task for this misrepresentation and the more I read about it, the more I tend to agree.